MORE ABOUT THIS BLOG The New Book Review is blogged by Carolyn Howard-Johnson, author of the multi award-winning HowToDoItFrugally series of books for writers. It is a free service offered to those who want to encourage the reading of books they love. That includes authors who want to share their favorite reviews, reviewers who'd like to see their reviews get more exposure, and readers who want to shout out praise of books they've read. Please see submission guidelines on the left of this page. Reviews and essays are indexed by genre, reviewer names, and review sites. Writers will find the search engine handy for gleaning the names of small publishers. Find other writer-related blogs at Sharing with Writers and The Frugal, Smart and Tuned-In Editor. 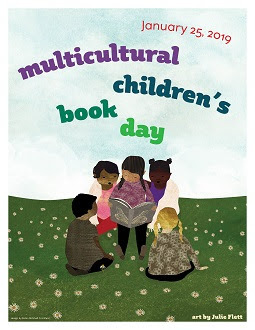 The online world is buzzing with the excitement and anticipation as the global online diverse children’s literature celebration known as Multicultural Children’s Book Day (MCBD) draws closer. This on and offline diverse kids’ and YA book-related event is in its sixth year and their mission of getting diverse children’s books into the hands of readers, parents, caregivers, teachers, and librarians has never wavered. 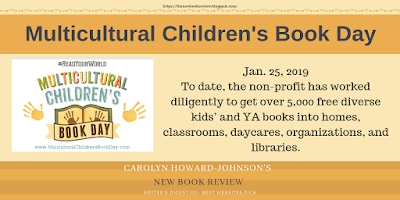 To date, the non-profit has worked diligently to get over 5,000 free diverse kids’ and YA books into homes, classrooms, daycares, organizations, and libraries. After being frustrated by a lack of diverse and multicultural children’s books available to their own families, reading and play advocates Valarie Budayr from Audrey Press Books and Mia Wenjen from Pragmatic Mom decided to take matters into their own hands. The book-loving moms then teamed up to create a much-needed national event and on January 27th, 2012 the first ever Multicultural Children’s Book Day was celebrated. Using the Multicultural Children’s Book Day platform, the mission from Day One has been to not only raise awareness around kid’s books that celebrate diversity, but to also get more of these types of books into classrooms and libraries. Now in its sixth year, the MCBD online celebration attracts thousands of supports, over 600 book reviewers and dozens of quality authors and publishers. The non-profit has also shifted from an “every January 27th” model to “the last Friday in January” to avoid conflicting with International Holocaust Remembrance Day. The upcoming MCBD celebration will occur on and offline on January 25, 2019. 1. Donate Books: Diverse kids’ or YA books donated to the MCBD non-profit are used a variety of ways including donation to the over 2,000 classrooms waiting for a free diverse book via the Free Diverse Books for Classroom Project, as books given to reviewers to review via social media during the January event, or as prizes for their wildly popular (and much-anticipated) Twitter Party on January 25th. 4. Guest posts: The MCBD Team is always looking for quality diverse children’s book-related guest posts on their blog. Authors and publishers are invited to share the story of their writing journey or their thoughts on the importance of diversity in children’s literature. 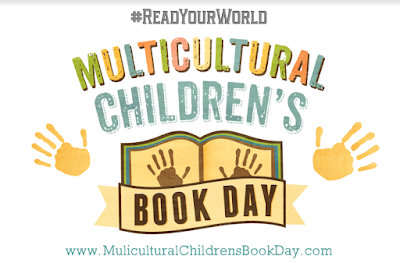 Don’t forget to connect with Multicultural Children’s Book Day on social media and be sure and look for/use their official hashtag #ReadYourWorld. Note: Participating authors and their publishers may request the social sharing image by Carolyn Wilhelm at no charge. Please contact the designer at: cwilhelm (at) thewiseowlfactory (dot) com. Provide the name of the book being reviewed and--if an image --isn't already part of the badge, include it as an attachment. C. Wilhelm will send you the badge to use in your own Internet marketing. Give Carolyn the link to this post, too!